Did you see the Fendi FW18 show? You wouldn't believe how creative Director of Fendi, Silvia Venturini Fendi found the artist who collaborated with them - on Instagram! Reilly (@hey_reilly) is an illustrator and a graphic designer. Reilly had been working on a personal project called FAKENEWS which he published on Instagram. Silvia Venturini Fendi saw it and loved it. but when she got in touch with him Reilly thought, here comes a lawsuit. 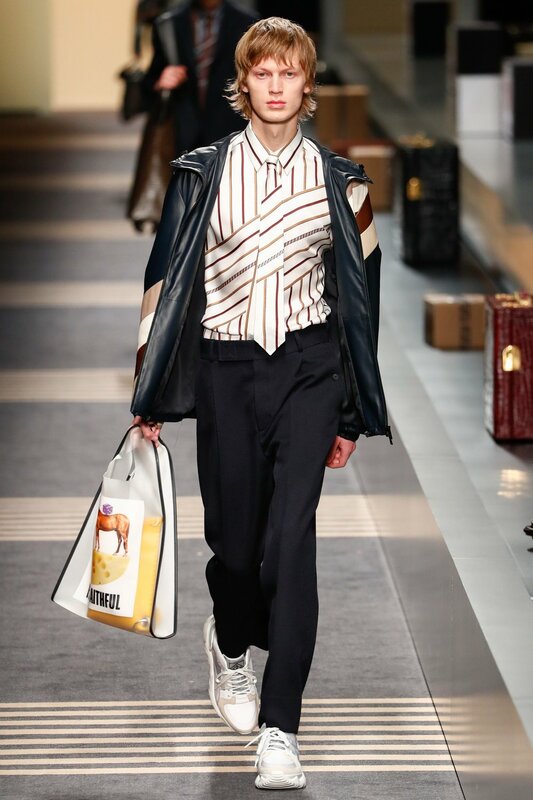 But this stury has a happy ending and this ending looked beautiful on the runway of Fendi in a collection of T-shirts collage-print mainline pieces accessories including the hands-free, headstrap-attached mini umbrellas and more. Art was everywhere and the story behind it is so inspirantoal for all of us.